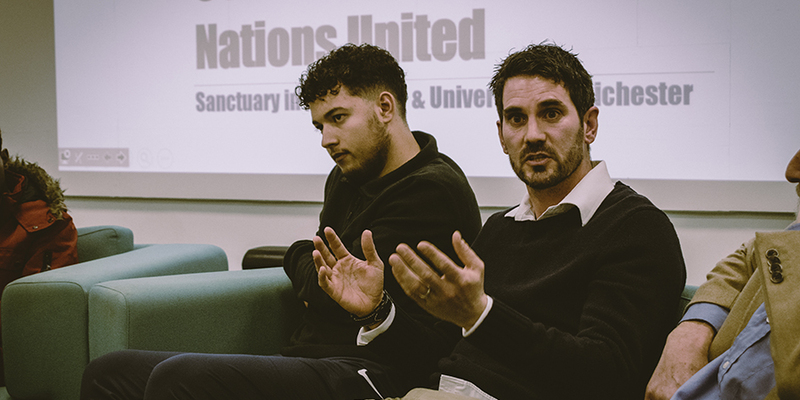 ONE of the United Kingdom’s first all-refugee football teams – Nations United – celebrated its anniversary at an event held at the University of Chichester. The event brought together players, staff, and student coaches from the University with supporters and volunteers from Sanctuary in Chichester, a group of more than 200 local people committed to making the city a welcoming place for refugees and asylum seekers. “For the past year staff and students from the University of Chichester have been working in partnership with Sanctuary in Chichester volunteers to provide opportunities for refugees within our locality to play regular football and to become part of a community” said senior lecturer in Sport Development and Coaching Danny Potter. 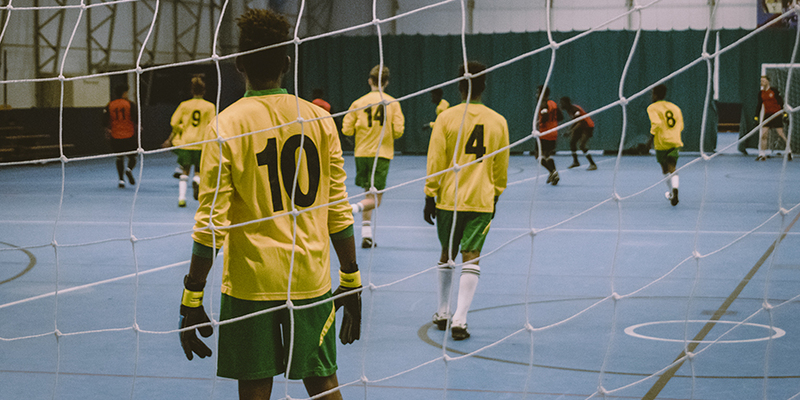 In that time young people with a shared love for football who have come from countries such as Sudan, Somalia, and Afghanistan, among others, to start a new life here have met as Nations United at the University twice a week to play in a six-a-side league and train with staff and student coaches. Deputy Vice-Chancellor Professor Seamus Higson launched the celebratory event and welcomed everyone to the University before Professor Mike Lauder, Director of the Institute of Sport, talked about the work of staff and students in community engagement sport projects with societal benefit to the institute, the University, and the wider community. 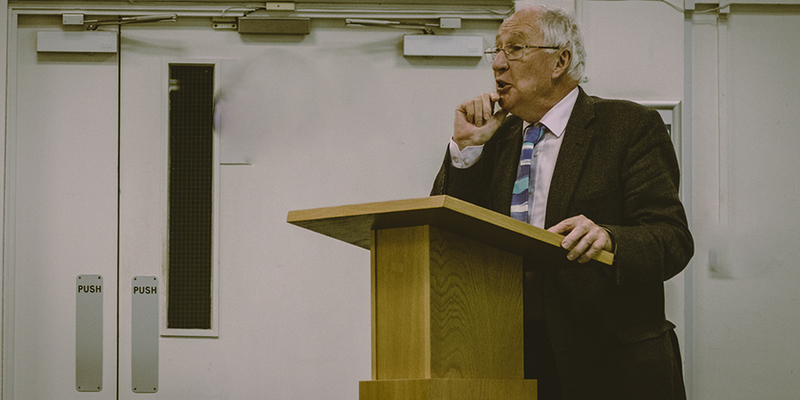 Roger Pask, Chair of Sanctuary in Chichester, explained that this volunteer-led organisation was set up in 2016 as a response to the global refugee crisis to offer social support alongside practical and financial help to those seeking sanctuary in the city. It helps young asylum seeking children develop English language skills, finds ways to host families who fled the war in Syria, provides drop-in sessions where refugees meet with local residents, and build genuine friendships and share experiences in a safe and welcoming environment. It also promotes understanding and raises awareness about the issues facing refugees and asylum seekers locally and in the UK. Sanctuary in Chichester volunteer Jon Bowra joined others for a panel discussion. He said: “In twelve months Nations United has gone from an idea to a well-established and well-supported project. “Our principles focus on facilitating a fun-orientated and empowering experience that truly embraces diversity and inclusion, and we are fortunate to have developed a very good partnership with the University of Chichester to support us in our aims. Steve Gough (above), who was approached by Roger Pask 12 months ago to facilitate the project, said: “One year on, this event is an opportunity to both celebrate and formalise the relationship that has evolved with the University of Chichester. This partnership not only offers the facility for the lads to play football on a regular basis, it has also the potential for them to engage in so many other educational and social opportunities. The event concluded with an exchange of memorandum of understanding between the university and Sanctuary in Chichester. For more about the Institute of Sport at the University of Chichester go to www.chi.ac.uk/sport.